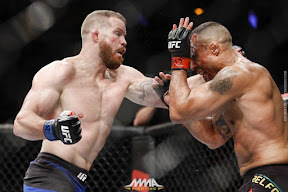 Nate Marquardt has never fought a rematch in his 12-year-long UFC career, but that run may soon come to an end. The former UFC middleweight title challenger and former Strikeforce welterweight champion wants a second crack at the man that defeated him last weekend – Vitor Belfort. The two MMA veterans battled in a middleweight contest in the main card of UFC 212, which took place last Saturday at the Jeunesse Arena in Rio de Janeiro, Brazil. After three rounds of fighting, the three judges in charge of the verdict scored the fight 29-28 for the Brazilian.